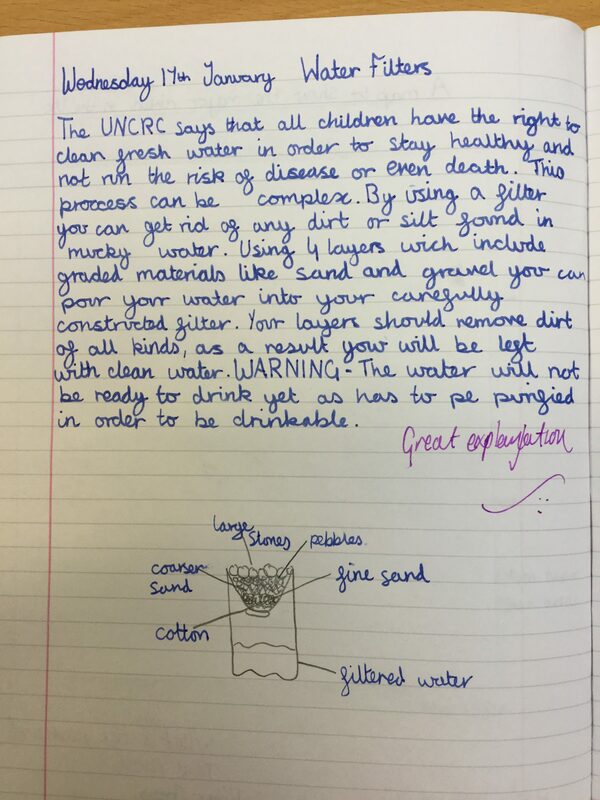 Further information about the convention, can be found on UNICEF’s website, the only organisation working for children recognised by the Convention. 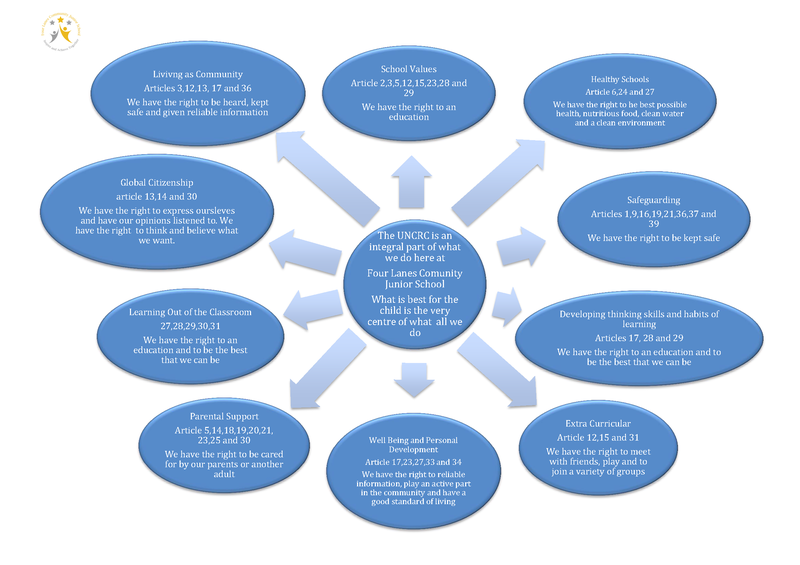 At Four Lanes, the UNCRC forms the basis of our aims and ethos shaping our policies and practice. 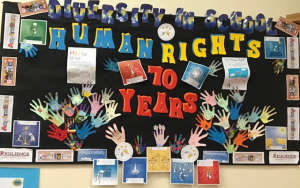 Last Week – Monday 10th December marked the 70th Anniversary of the Convention of Human Rights. 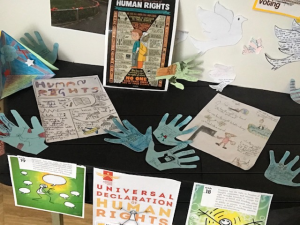 We marked it in school with assemblies and activities that helped us link the world changing convention to the United Nation’s Children’s Rights Charter that underpins all that we do here at school. 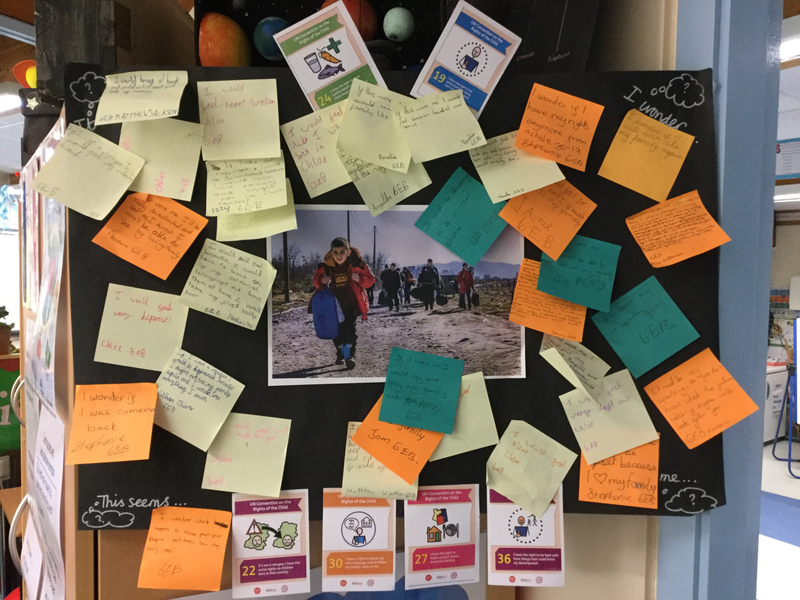 The children explored each of the Human rights and decided which they thought had most impact on lives, made posters and how we could ensure we lived by them day to day. 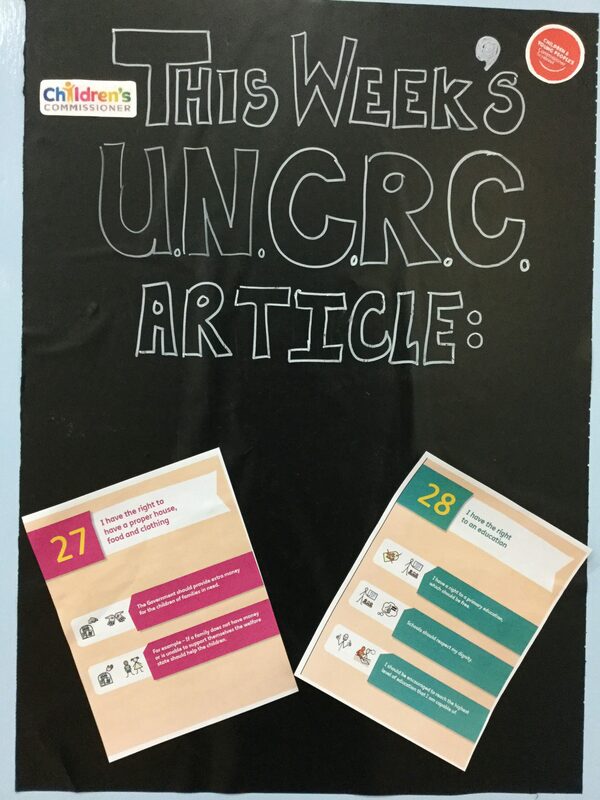 As a UNCRC supporting school, we think this very important petition, launched last week, would be worth sharing with our whole community. 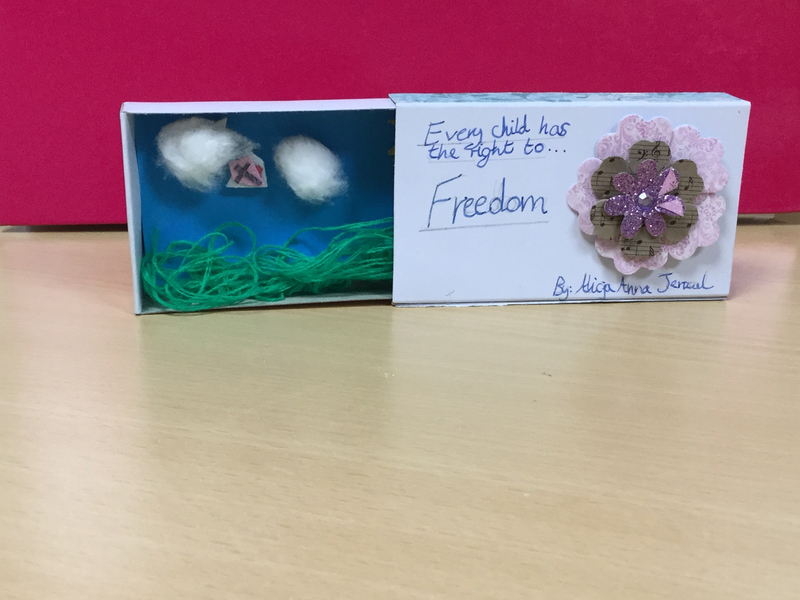 Your children will be able to information about the ‘rights of the child’, the UNCRC and how it affects their lives and those of others that live without the rights. 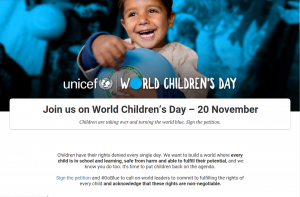 Please follow the link if you would like to ask more world leaders to commit to doing more to fulfil child rights across the globe.